It’s that time of the year again. Father’s Day is approaching. 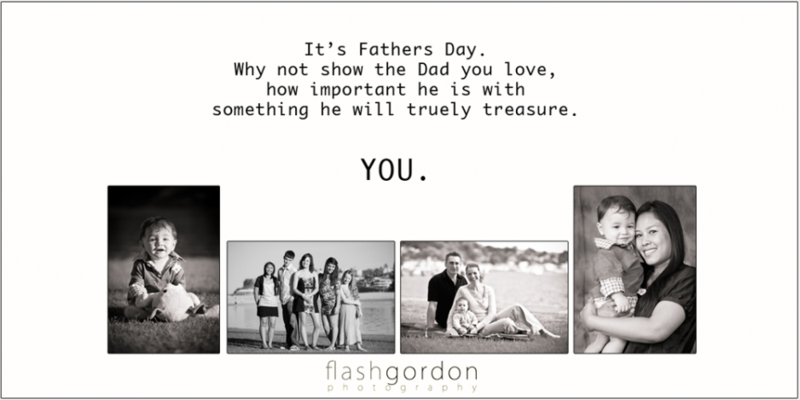 This fathers day we’re offering an awesome special for those that want to give a truly unique gift to Dad. *A 1 hour portrait session anywhere on the Central Coast. *Colour and Black and White Photography. * Images supplied to you on Disc. * A 16″x12″ (approx A3 size) museum grade print of your choice (normally $79.00 on it’s own). All for $149.00 incl GST. Spaces are limited so don’t miss out. Phone on 0418 291676 to make a booking at a time that suits you.